A few months ago I pinned this Air Dried Porcelain Recipe on Pinterest. 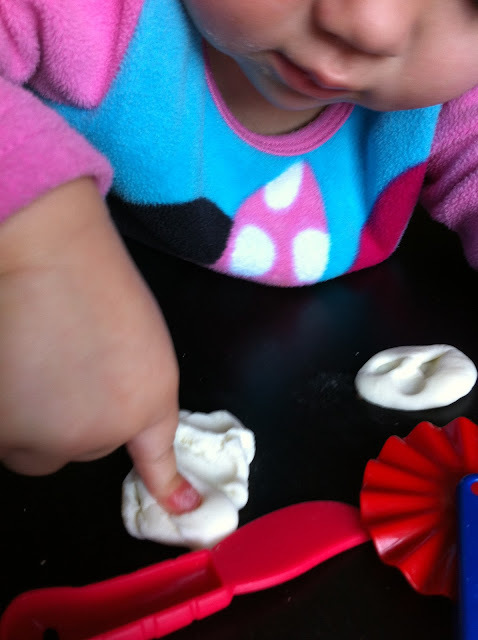 I loved the idea of a smooth air dry clay made with ingredients that we already had in our house. But I will admit I was a little skeptical. 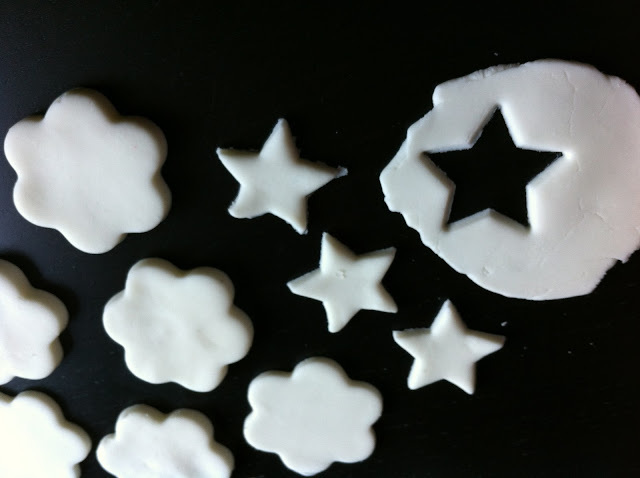 It seemed to good to be true but to my surprise it was pretty easy to make, super easy to use and dries with a perfectly smooth surface that really does remind me of porcelain. The original recipe came from The Junk Wave and called for 3 cups of white glue, 3 cups of cornstarch, 1 tablespoon of vinegar , 1 tablespoon of glycerin, and 2 tablespoons of vegetable oil. The only ingredient that might be a little hard to find is the glycerin. I had some bars of glycerin left over from our soap making (that I got at Micheal's) and just melted a square for 20 seconds in the microwave. The Junk Wave offers two directions for making the clay one using the microwave and one using the stove top. I actually tried both. I begin with the microwave thinking that would be easier and quicker, I was very wrong. It took a long time and lots of taking the clay in and out of the microwave and never really getting it to the right temperature. So I tried again on the stove top and found it much easier this way. Basically you mix all the ingredients into a non-stick sauce pan and cook over medium-high heat. Now I spend a lot of time carrying around rather large children and as a result I had it in my head that my arm muscles were pretty strong, but I was wrong about that too. It takes a lot of muscles to stir this stuff! The good new is that you don't have to constantly stir it but you do have to stir it pretty frequently so it will cook evenly. When you first start mixing it is a little lumpy, after a few minutes on the heat it smooths out a little. after about 10 minutes on the heat it starts to get lumpy again (Junk Wave called it ricotta cheese and that was a very good description.) When it gets lumpy again and starts to pull away from the pan you know it is done. Take it off the heat and let it cool a few minutes. Once the clay has cooled a little you want to knead it to make it smooth. I used a little vegetable oil on both my hands and work surface to prevent it from sticking. After kneading the still warm clay for just a few minutes it became very smooth. You then want to put it in a air tight container overnight. After letting our clay sit for a while we pulled it out and it was awesome! The clay is so smooth and easy to work with. It reminds me a lot of Model Magic but a little heavier and a lot smoother. The girls both loved playing with it. We had a great time rolling it out and cutting shapes with cookie cutter. It rolls out easily and smoothly and perfectly holds the cookie cutter shapes. This is most definitely what we will be using next year to make holiday ornaments. After we were done playing I put the rest of the clay back in the Ziploc bag where it has been for over a week and it is still soft. The stuff that we made we let sit on the counter and it dried to a nice hard finish in about 24 hours. Check back soon for some of the fun projects we have been working on with this stuff. Awesome, clear directions. We have used this for a couple of projects with our Girl Scout troop. Great site, thank you! Thank you so much! What did you guys make? hi, after dry up will it turn whitetish and need to use sand paper?